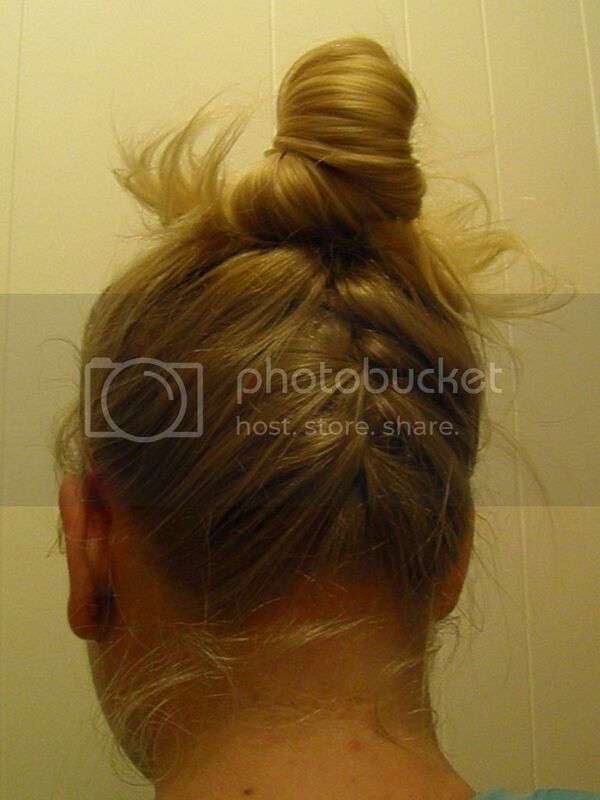 Last week, I tried out another fun gym hair idea. Like I said before, I'm making a concerted effort to not default to a ponytail all the time. I'm bound and determined to pull myself out of a hair rut. However, I'm not keen on dedicating a lot of time to my hair. I'm perpetually running a little late in the morning, trying to get to work on time. I have no time for extra fuss. Also, I'm trying to keep the looks grownup--no Laura Ingalls braids over here. This style took less time than it would take to blow-dry my hair. And I got tons of compliments on it all day. This is what it looked like pre-workout. But actually, I had worn it on my bike ride to and from work and to work all day. It really held up. And this is what it looked like before bed, after an intense gym session. It's really a durable 'do. 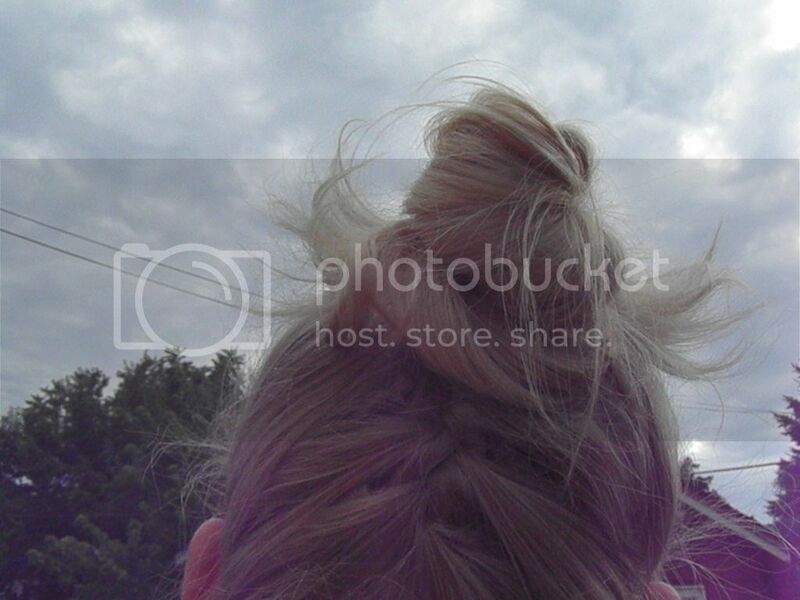 All you have to do is form an upside-down French braid halfway down your head. Secure with bobby pins, if you'd like. 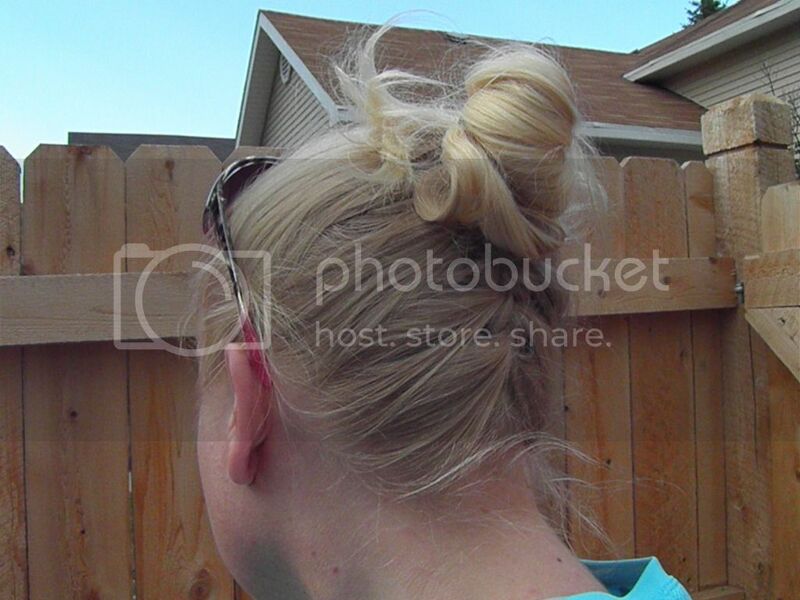 Then, gather all your hair into a high ponytail. As you're wrapping your hair tie around the last time, pull your hair only halfway through and play around with it a little. At this point, you can remove the bobby pins, if you have long hair like mine (or leave them in for shorter hair).